Projected capacity is divided between PVs, wind farms, and rooftop solar panels. At the rate Australia proceeds with installation of renewable energy, it could hit 50% renewables by 2025, an analysis by the ANU Energy Change Institute revealed. Currently, the industry is installing over 10GW of solar and wind power between 2018 and 2019. Last year was considered a record year for renewable energy in Australia as it added 2,200MW of capacity. Data from the Clean Energy Regulator also showed that during 2018 and 2019, Australia will install about 10,400MW of new renewable energy, comprising 7,200MW of large-scale renewables and 3,200MW of rooftop solar. “This new capacity is divided roughly equally between large-scale solar photovoltaics (PV), wind farms, and rooftop solar panels. This represents a per-capita rate of 224 watts per person per year, which is amongst the highest of any nation,” Baldwin said. With this, Australia could the large-scale Renewable Energy Target (LRET) and reach 29% renewable electricity in 2020 and 50% in 2025. “It may even surpass the original 41 TWh target, which was downgraded by the Abbott government to the current 33 TWh,” Baldwin added. 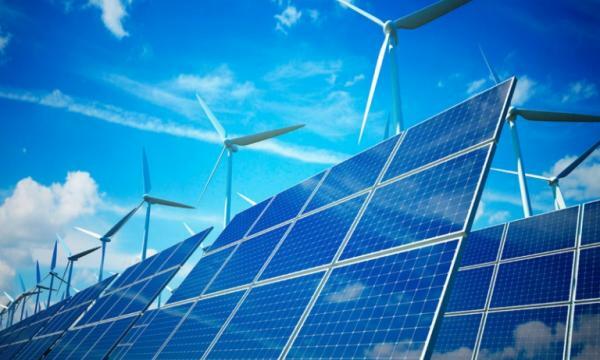 The study is based on the following assumptions: demand remains constant; large- and small-scale solar PV and wind power continue to be deployed at their current rates of 2,000MW, 1,600MW, and 2,000MW per year; large- and small-scale solar PV and wind continue to have capacity factors of 21%, 15%, and 40%, respectively; existing hydro and bio-generation remains constant at 20 TwH per year; and fossil fuels meet the rapidly declining balance of demand. Notably, the analysis said renewable energy developers are well aware of these projections. “They believe that little or no financial support is required for projects to be competitive in 2020 and beyond,” Baldwin said. “The current price of carbon reduction from the government’s existing Emissions Reduction Fund (A$12 per tonne, equivalent to A$11 per MWh for a coal-fired power station (at 0.9 tonnes per MWh), would be sufficient to finance many more renewable energy projects,” he added. However, should the electricity sector breach 50% renewables, it will need more investment in storage and high-voltage interconnections between regions to smooth out the effects of local weather and demand. The study estimates that the the hourly cost of this grid balancing is about A$5 per MWh for a renewable energy fraction of 50%, rising to A$25 per MWh at 100% renewables. “Government support for stronger high-voltage interstate interconnectors and large-scale storage projects (like the Snowy 2.0 pumped hydro proposal) will allow 50-100% renewables to be smoothly integrated into the Australian grid. What is crucial is government policy certainty that will enable the renewable industry to realise its potential to deliver deep emissions cuts,” Baldwin concluded.